Students and faculty come from more than 100 countries, bringing different perspectives and rich texture to the UAlbany experience. 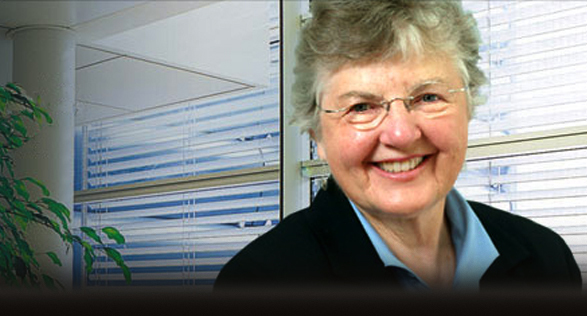 Alumna Frances Allen never set out to be a leader in the computer science field. She simply is one. Allen is a woman of "firsts." She was the first female recipient of the Turing Award, considered the Nobel Prize in Computing. She was also the first woman named an IBM Fellow, the company's highest technical honor. "It's just part of who I am. My whole life, I've always followed what I thought was the most interesting task to do next," said Allen, who graduated in 1954 from UAlbany, then the New York State College for Teachers. After graduating and teaching high school math for two years, Allen joined IBM in 1957 to teach company scientists and engineers the revolutionary high-level programming language, FORTRAN. She accepted the job simply to pay off her college loans, with the intention of returning to the classroom. Instead, it turned into an extraordinary 45-year career at IBM Research. Today's business and technology sectors rely on Allen's innovative advances in computing techniques. Her contributions include optimizing computer programs and high-performance computing systems. She was also instrumental to the work of the precursor to the U.S. National Security Agency in its code-breaking activities during the Cold War. 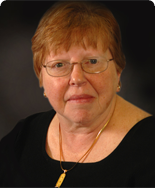 Allen, now an IBM Fellow Emerita, is considered one of the most successful women in the computing field. Allen inspired a new generation of leaders at UAlbany's Winter Commencement on December 7, 2008. At the ceremonies, she received an honorary doctor of science degree to recognize her distinguished technical accomplishments and contributions in encouraging women to pursue careers in science. In April 2010, Allen was elected to the National Academy of Sciences in recognition of her distinguished and continuing achievements in original research.